The Defense Advanced Research Projects Agency (DARPA), a think tank for the Pentagon, hosted a three day symposium in celebration of its 60th anniversary this week. Highlights from the event included discussion of some of the most astounding projects the agency is currently working on. And of those, one in particular caught our eye: The N3, or Next Generation Nonsurgical Neurotechnology, program. We love DARPA because its job is to come up with wacky futuristic ideas and then see which ones the brass wants to pursue. And the N3 program is everything you hope for in a (not at all) secret military research project. 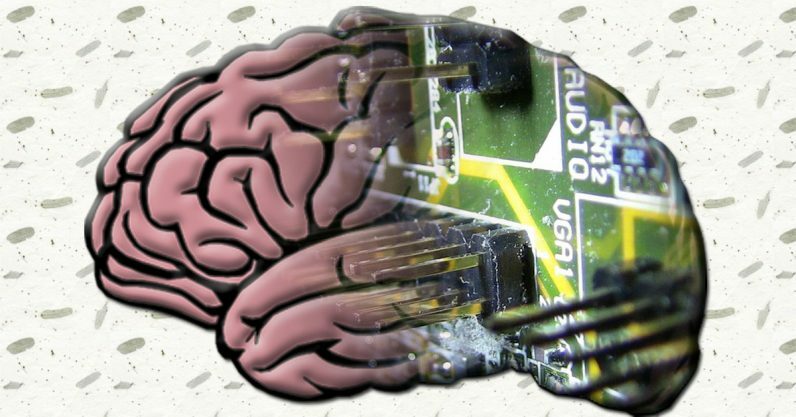 The N3 program seeks to build a brain computer interface (BCI) that doesn’t require surgery or any invasive procedures. Basically they want to come up with a way to take existing external BCIs and make them fit for combat duty. Current BCI technology, mostly designed to assist the disabled, is entirely unsuited for field deployment. DARPA wants something lightweight, durable, and capable of performing in hostile environments. It appears as though this project has a high likelihood of seeing further development. DARPA isn’t mission-bound to produce results, instead it gets to serve as a test-bed for ideas. Many of them don’t see use outside of field tests. For example, despite decades of research and hundreds of field tests, we still don’t have soldiers and marines rocking standard issue exoskeletons. Yet. But, in this case, there’s an accompanying training program to help service members develop the special skills necessary to operate a BCI optimally – dubbed Targeted Neuroplasticity Training. And there’s plenty of proof-of-concept devices already in development. We’re asking multidisciplinary teams of researchers to construct approaches that enable precise interaction with very small areas of the brain, without sacrificing signal resolution or introducing unacceptable latency into the N3 system. The agency expects to deliver a fully-functional device capable of being used in “a defense-relevant task that could include human-machine interactions with unmanned aerial vehicles, active cyber defense systems, or other properly instrumented Department of Defense systems,” according to a DARPA press release. We’d use it to make robots dance and bring us beer – but national defense sounds important too.